Truth behind Pawan Kalyan – Poonam Kaur combined Puja! 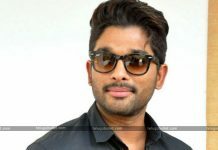 We have seen a well-known film critic bashing and lashing out Power star Pawan Kalyan and heroine Poonam Kaur, and alleging they both are having an illicit relation. No wonder, people have stooped to that level for publicity and attention. Even the media channels are to be blamed, who claim they are for the society but only indulge in promoting anti-social elements. Coming to the Pawan Kalyan – Poonam Kaur special pujas topic, we came to know that it is indeed true. Yes, it is true that Poonam Kaur did participate in special pujas, but they were not only a personal level, only at a professional level. It is during the pre-production stages for the film ‘Jalsa’ (2008). Poonam Kaur was initially a part of the film, playing the role of sister to Ileana d’ Cruz in the film. Pawan Kalyan hardly had any blockbuster hits after Kushi, which released in 2001. The hero was eagerly waiting for a blockbuster, to come back into form. And moreover, this is the first Trivikram collaborated with Pawan Kalyan. Taking all these into consideration, the film’s unit carried out some special puja’s for the success of the film. Later, due to some unknown reasons, Poonam Kaur was replaced by Kamalini Mukherjea, who rejected many films hoping that she would be a part of the film ‘Jalsa’. All of a sudden, what seemed to be a bright career in Tollywood, became shallow waters for Poonam Kaur. She held Trivikram responsible for the last minute change in the movie’s casting. She committed suicide after she failed to bag any offers. Pawan Kalyan got to know what happened behind the screen and rushed to meet Poonam Kaur who was admitted to the hospital. He later spoke to Poonam’s mother and assured that he would try to put her career back on track. Holding himself partially responsible for the mishap, Pawan Kalyan paid Poonam’s hospital bills and ensured that she is safe in her mother’s hands before he left the premises. Cutting the scene to September 11th, 2017, Poonam Kaur was announced as the brand ambassador for ‘Handloom Industry’ in Andhra Pradesh. 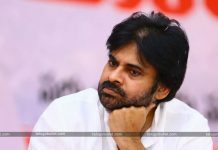 It was understood that Pawan Kalyan who promised Poonam Kaur in the past about a promising future, suggested her name to the AP CM Chandrababu, who went into 2014 election with Pawan Kalyan’s support. This article absolutely answers every question put up by the respective film critic. The same can be expressed by Poonam Kaur, but it would foolish. Such act can encourage others to start putting such questions to other heroines and celebrities. Expecting anyone to react to foolish questions, is just stupidity and cheap way to be in the limelight. Everyone reading this article should judge for themselves, what Pawan Kalyan did is wrong or right at a moral level. Next articleOil Tanker Collides With Vessel Off China Coast- 32 Missing!